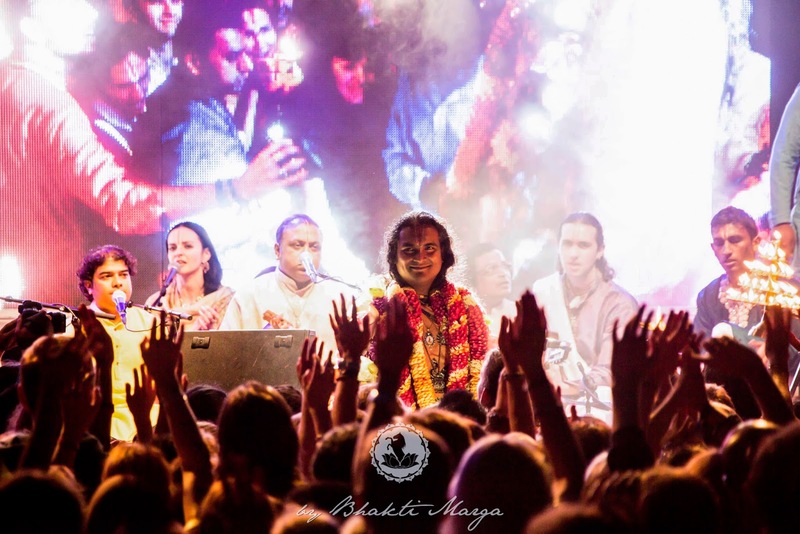 The behind-the-scenes experience of creating the story of Sri Swami Vishwananda’s Mission of Love. 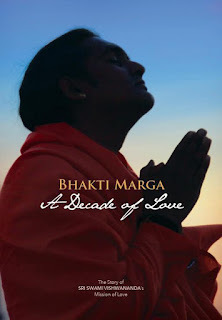 Early this year, when we were starting to prepare ourselves for the 10 year festival of Bhakti Marga that took place on 10-12 July, we also resolved to put together a book that would cover the first 10 years of the history of our mission. It was clear for all of us involved, that it would have to be an extraordinary book, with lots of great visuals capturing the “bigger picture" and the many little charming insights into the wonderful mission of our beloved Guruji, the Mission of Love. To make a long story short, we eventually ran out of time to produce it. So we had to postpone it for later and again it seemed that time was slipping away from our hands. Luckily though, with a little lovingly strict push from our Guruji, we succeeded to make it ready for Christmas 2015. As 2016 is approaching, this time marks the final phase of the first decade of Love. Actually, in hindsight, it is the perfect moment to look back at what was achieved, and we are happy that “fate” allowed us to release the book only now. It gave us the opportunity to include the fullness of 2015 where so many special things happened, to complete the first decade in style. Now we are ready to dive deeply into the New Era. But more about what that means later. Putting together a book that is worthy of the mission of Guruji was quite a challenge for our team. It wasn’t a project one or two people can complete on the side with their little fingers so to speak. A grander effort was needed, where we had to free ourselves from the ties of our usual duties to give this the proper attention it needs and deserves. Also, we were faced with a proper “deadline”. Meaning, it absolutely had to come out by Christmas 2015, or else we would be … dead! Not literally of course, but you get the point. To accomplish this in less than four weeks seemed to some of us like a mission impossible. And looking back it kind of was, which is quite fitting, because Bhakti Marga itself is in many ways a mission impossible from a human point of view. What Guruji has accomplished over these ten years is a breathtakingly divine master piece! It is his biggest miracle of all, consisting of countless smaller and bigger miracles inside. Stories and experiences of human beings turning from “metal” into gold, and Guruji being the philosopher stone making it all happen. How nice for us all that he has chosen us to be co-creators of his grand oeuvre! We knew, we couldn’t afford to release something “half-baked”. Too much was at stake. To write the story, the history of the mission of our Guru. 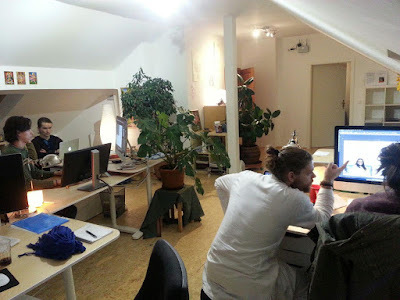 So a bigger team worked intensively over the past weeks to make it happen, and in the end, we working literally day and night. We had no choice but to become a real team to succeed. A continuous “yes” to each other. Creations of one person – whether concepts, texts, pictures or designs – were reshaped or edited by someone else, and again changed by a third person. What was very nice to observe is that we trusted each other, we trusted that the contribution of the next person would make it better. It wasn’t about “my” or “mine”, it was about him (i.e. Guruji) and us. It’s not the first time I’ve witnessed Guruji’s devotees grow together in times of pressure. We may sometimes have little disputes here and there, like in any family, but when it matters, we grow together and become one. It’s these moments that one remembers for the rest of one’s life. When you give it all. When you squeeze out the last drops of life force out of yourself. We were dead-tired, but not dead! We were alive, because we were living bhakti at its fullest. In conclusion, this book is not just a mere history book. 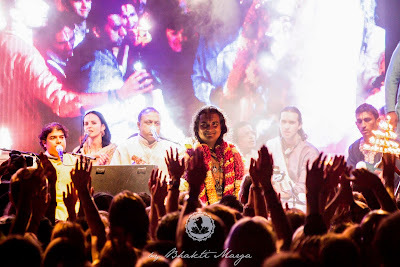 It takes account of the first ten years of Sri Swami Vishwananda’s mission in such a way, that it becomes a powerful reminder, of what matters most: God is Love. God manifests as the Satguru to wake mankind up to rediscover the Love inside of itself. The Satguru and his mission are one. If we love the Guru, if we love God and his creation, then we will naturally embrace his mission, which is to spread his Love. It means we naturally want to pass on the Love that we received. Contemplating at the first decade of Love, it could be said, that it was the phase in which we received a lot of Love. Now the new Era, which starts with a new decade, stands for sharing that Love. Actually in sharing (unconditionally), we receive even more than before. This is the secret of Love. You have to give it to receive it. You have to be brave enough to be where you need to be, not where you want to be. But true devotion unites the need with the want. In other words, you will want to be where you need to be.